This depends on the number of people to be trained, group sizes, location of training and how urgently the training is required. Prices are for the Sydney Metro area and additional charges may apply for travel outside Sydney surrounds. Prices for groups are based on having all the trainees available at the same time for theory training. Some elements of the practical assessment can be done one on one to allow individual workers to return to work sooner. This is a guide only and prices may change. 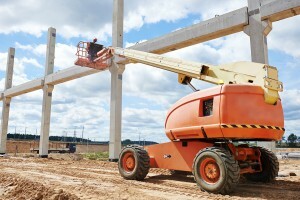 Cost for Boom lift WorkCover licence for equipment over 11 metres is more expensive and time consuming. Individual quotes are provided for them on request. Allow 2-3 days for training and licencing depending on trainee’s level of experience and knowledge. They must be able to understand English to successfully complete the course. Both the Yellow Card, Gold Card and WorkCover license must be renewed every 5 years. Participants 14 years and 9 months to 18 years of age can obtain a Restricted Yellow or Gold Card but must operate the equipment under the supervision of a holder of a full Yellow Card or Gold Card. When they turn 18, a new full licence will automatically be sent to them if the original training was within the last 12 months, otherwise they will require refresher training.